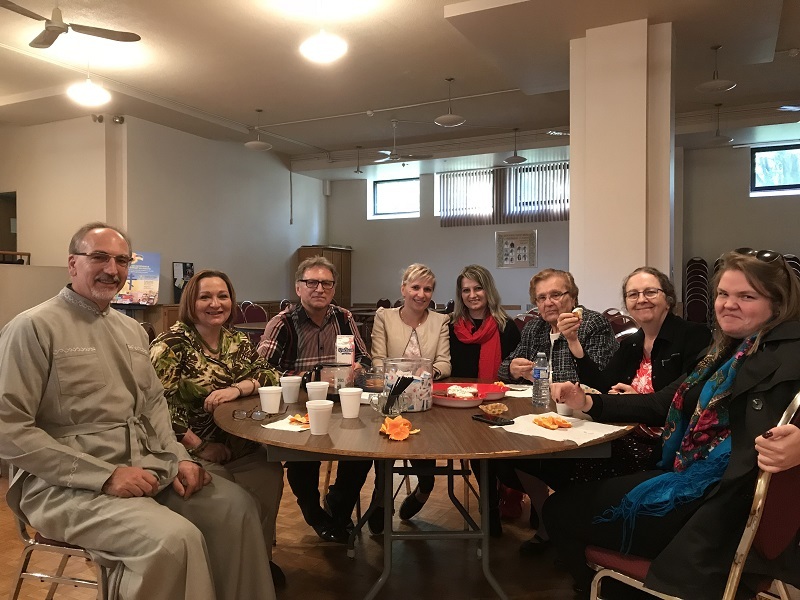 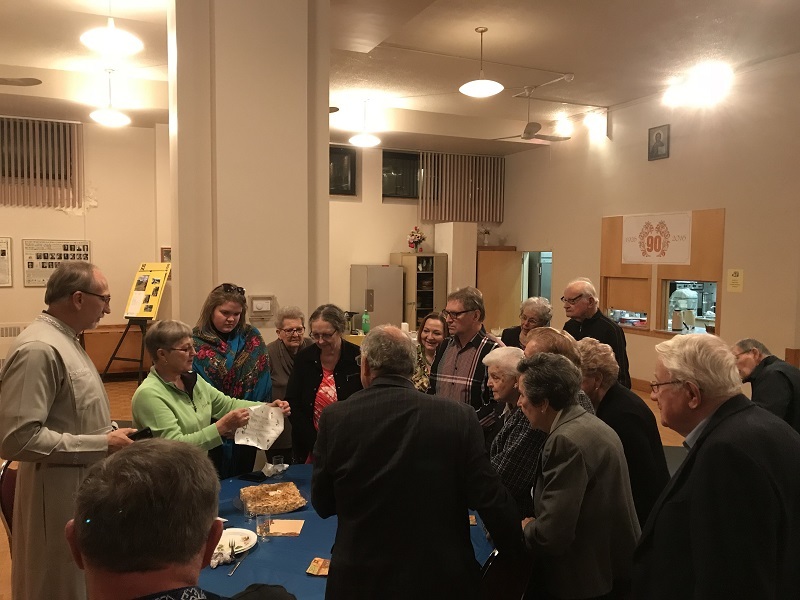 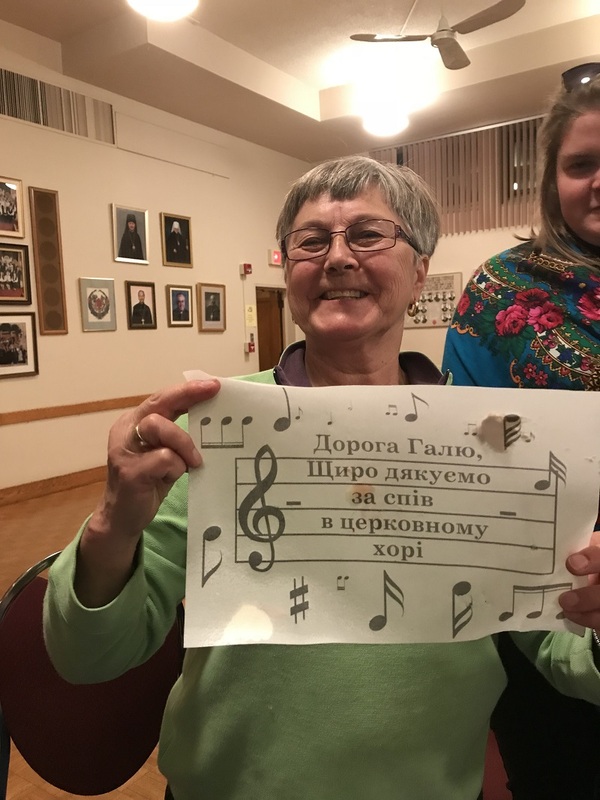 Present and former choristers bid Halia Chrebto-Humeniuk farewell, who is moving to Toronto after 47 years of dedication to the St Sophie's choir. 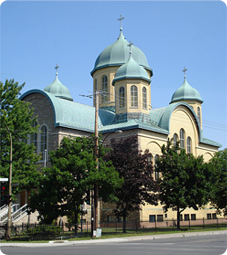 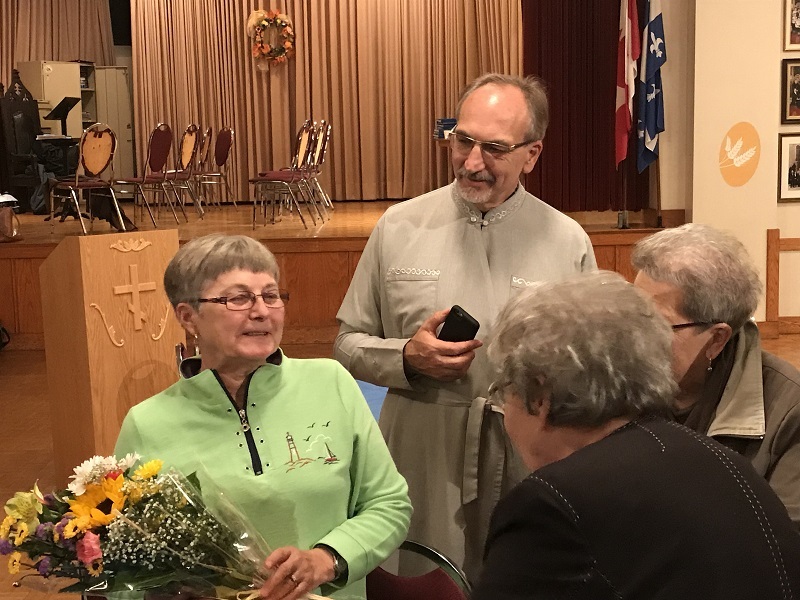 The beautiful bouquet of flowers was prepared by Sophia Kurhan (Fleurs de Zofia on rue Bélanger), a devoted member of the neighboring parish, the Assumption of the Blessed Virgin Mary Ukrainian Catholic Church. 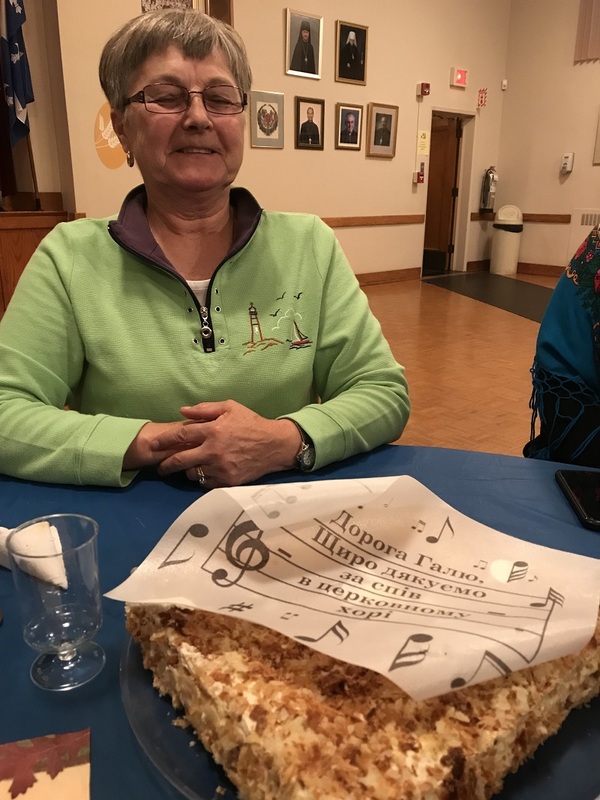 The meal was complimented with tasty pizza from our parishioner Oksana Tulska-Popiv's restaurant Pizza Maison on rue Masson.